By GreenEyedLillies on May 26th, 2009 . Filed under: Tattoos . 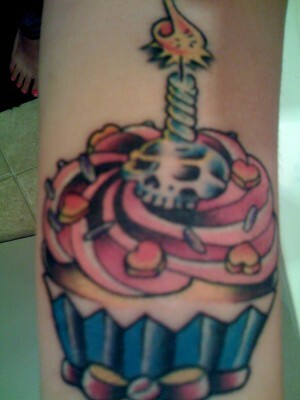 Thank you for sharing your cupcake tattoo with us Cristal. It’s so cool! Wow…who knew there were so many cupcake tattoos in the world? !